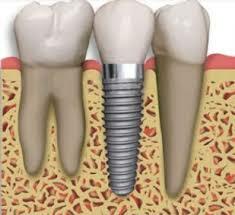 If you have lost a single tooth due to an accident or from periodontal/ gums disease, the tooth can be easily replaced using a dental implant. 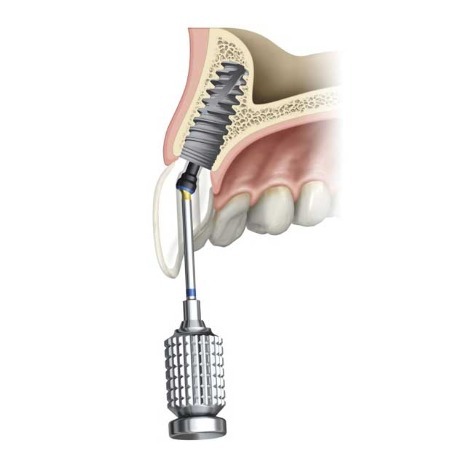 In fact, dental implants have become a treatment of choice for most patients looking to replace a missing tooth. 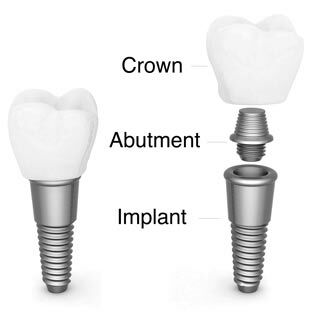 A dental implant is an excellent way of replacing a single tooth without the disadvantages of a fixed bridge or removable dentures. It is the ideal treatment for a missing tooth because it does not affect your adjacent teeth. That means no grinding down or crowning of your natural teeth as with bridges, and no metal clasps around your healthy teeth or plastic on the roof of your mouth as with removable partial dentures. And because implants are fixed in place, there is no worry about slipping or clicking as with dentures. Your teeth stimulate the surrounding bone with each bite. This preserves the integrity of the bone. When a tooth is lost, the bone is not stimulated and begins to shrink away. A dental implant keeps this bone intact and can prevent both bone loss and gum tissue shrinkage, thus protecting surrounding healthy teeth. Bridges and dentures do not provide this type of support and protection. 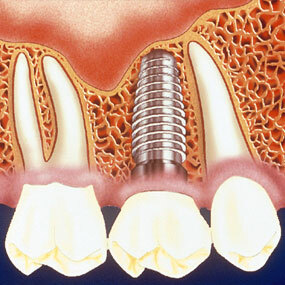 In addition, because a dental implant replaces the root structure, the jawbone is better preserved. In terms of hygiene, a single tooth dental implant is also much easier to clean as compared to a bridge. The teeth that support a bridge will often get cavities and can be at risk of failing in just a few years. Unlike a bridge, an implant cannot be affected by cavities, and offers a much longer-term solution, often lasting a lifetime.